Carriage Tours: Charleston is filled with historical buildings and landmarks dating back to pre-Civil War years. The architecture is also truly unlike anything you’d find here in Chicago with its Greek, Italian and French influences. There are so many different sights to fit into my family’s one day in Charleston, so a carriage tour was the perfect way to see the city and learn about its rich history. These are perfect for those 90-degree days where walking is almost unbearable in the humidity, too. Also, carriage tours have been a bit controversial around the world due to the treatment of the horses, but the companies in Charleston do a great job of making the horses’ well being a main priority. Boone Hall Plantation: Known for being one of the oldest plantations in the south, as well as the scene for various Hollywood projects, like The Notebook, Queen, Days of Our Lives, and North and South. You can really spend a whole day here exploring the grounds, from the main house, which was used as Allie’s summerhouse in The Notebook, to the slave quarters, to the still-active farming grounds. Visiting here definitely makes you feel like you’ve been transported back in time, and the staff does an incredible job of making you feel welcome and informed. Nighttime Walking Ghost Tour: Since Charleston has so many historical buildings and was a major location for the Civil War, there are tons and tons of myths about it being haunted. These tours are definitely worthwhile taking part in, as they also provide you with an extensive look of the city. Tour guides take you to various churches, libraries, gardens, restaurants, etc., and tell you the stories behind the hauntings as well as recent ghost encounters at those locations. Tours are available both during the day and at night, but nighttime definitely makes it more of an experience. 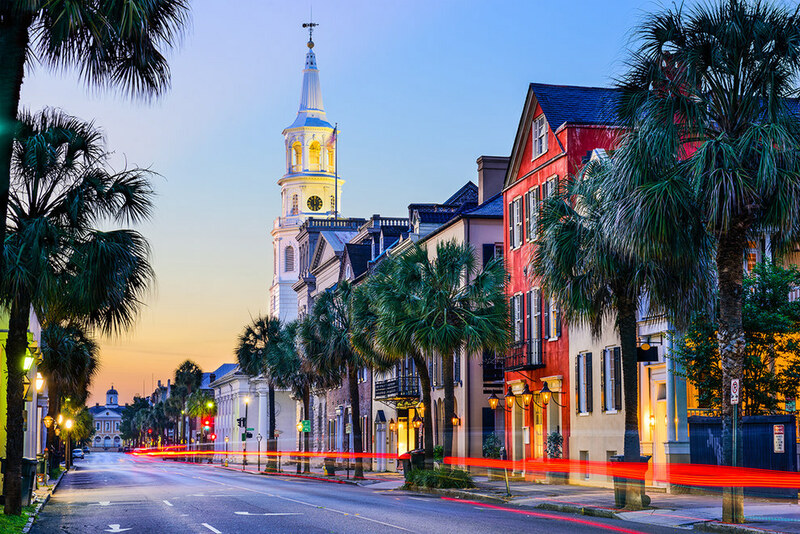 Shopping on King Street: King Street is the Michigan Avenue of Charleston. You can visit pretty much any store you can think of here. Southern Classics at Hominy Grill: Charleston is known as a foodie town, specifically French foods. However, I like to get my fix for the year of traditional southern food whenever I’m in town. Hominy Grill is my favorite restaurant in Charleston because it has such an extensive menu, and everything on it is absolutely phenomenal. My favorites from over the years include the fried chicken, ribs, pulled BBQ chicken sandwich, mashed sweet potatoes, cheese grits, biscuits, pecan pie, and chocolate pudding.